If you hire an auto accident lawyer to help you navigate the personal injury claims process, they will handle all the logistics of the case so you can focus on recovering. This includes interviewing onlookers who saw the crash, obtaining testimony from expert witnesses who can shed light on liability, calculating potential damages, and negotiating with the opposing party for a fair settlement. Before any of the above can happen, though, you must do your part to validate the claim. Below, a personal injury attorney from Nagle & Associates, PA shares a few critical tasks to complete immediately following a collision. If any pedestrians, shopkeepers, or nearby motorists witnessed the wreck, ask if they can remain on the scene long enough to provide the responding officers with an official statement. Otherwise, get their names and contact information so your auto accident lawyer can reach out to them when building the claim. Photograph the scene from all angles before leaving. Make sure to capture road and weather conditions, as well as any signs or signals that affect the flow of traffic. 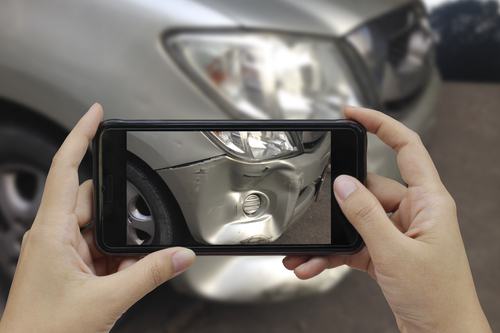 If you cannot document the scene while the vehicles are still in place, photograph the extent of each car’s damage separately. Begin photographing any bruises or lacerations the day you sustain them. Take photos daily or at least every other day to document their progression and eventual healing. You should also start a journal to track the progression of any internal injuries, as well as how they affect your everyday life. If you do not require emergency medical attention at the scene, visit an urgent care center or your primary physician as soon as possible. Some impact injuries are not apparent right away, but they can cause serious complications if left untreated. Therefore, it is essential to seek medical care even if you feel fine. Once you start receiving treatment for injuries, follow your doctor’s orders closely to facilitate the healing process. This might include limiting daily exertion and attending regular physical therapy sessions. If you fail to follow medical advice, the opposing party might argue that you are partially responsible for some of the damages. If you were hurt in a collision and want to sue the liable motorist for damages, turn to Nagle & Associates, PA. With offices in Asheville, Greensboro, Hickory, Raleigh, Wilmington, and Winston-Salem, they make it easy to get quality legal counsel all over the state. Like them on Facebook to learn more about their unparalleled representation. You can also schedule a free consultation with an auto accident lawyer by visiting their website or calling (800) 411-1583.